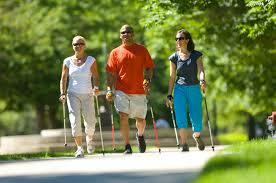 Try Nordic pole walking to see if you like it. 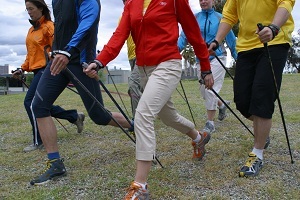 Discover how adding poles to walking in the Nordic style effectively uses 90% of your muscles. MUST PRE-REGISTER FOR THIS CLASS, JUST CLICK ON BUTTON ON THIS SITE. Borrow poles for free. Your instructor is Linda Schaumleffel, retired Olympian, survivor of car crash, Nordixx Canada Master Pole Walk instructor, has taught over 2500 people this method of pole walking. Get all your questions answered by trying it and learning basic 4 steps! NOTE: FINDING THIS LOCATION THE FIRST TIME IS A LITTLE TRICKY. Turn off Borden (Monkey Tree Pub, onto Cedar Hill X road, and then turn left onto Lochside. Drive about 3 blocks to the end of the road, and the last parking lot….find me at my car. Also if you Google Map 4098 Lochside, you will find it. QUADRA & MCKENZIE IS THE GENERAL LOCATION.